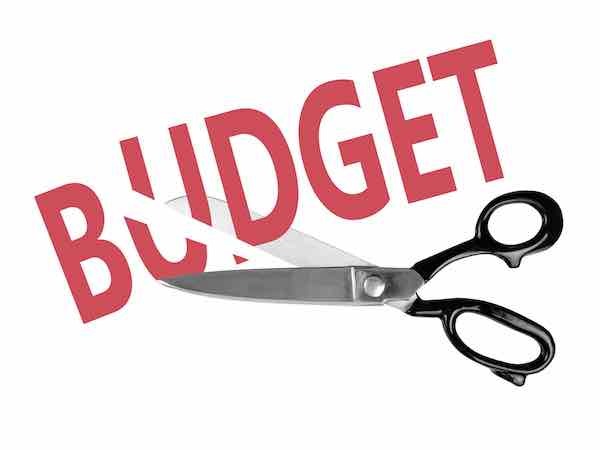 The Trump administration has released its blueprint for the fiscal year 2018 budget today, one which proposes eliminating funding for many federal agencies. “While recognizing this Blueprint is not the full Federal budget, it does provide lawmakers and the public with a view of the priorities of the President and his Administration,” said Office of Management and Budget director Mick Mulvaney. He also noted that the 2018 budget will not add to the deficit. “It has been crafted much the same way any American family creates its own budget while paying bills around their kitchen table; it makes hard choices,” said Mulvaney. The 2018 budget proposes to eliminate funding for multiple independent agencies. What follows is a complete list of these agencies and what each one does. The salary information included with each agency is based on the latest available data from FedsDataCenter.com. The U.S. African Development Foundation (USADF) is an independent federal agency established to support African-led development that grows community enterprises by providing seed capital and technical support. USADF is working with African communities in fragile and post-conflict areas throughout the Sahel, Horn and Great Lakes region and invests grants of up to $250,000 directly to underserved community enterprises. The average annual salary for employees employed by the agency is $104,200 based on 41 employees. The Appalachian Regional Commission (ARC) is a regional economic development agency that represents a partnership of federal, state, and local government. Established by an act of Congress in 1965, ARC is composed of the governors of the 13 Appalachian states and a federal co-chair, who is appointed by the president. Its mission is to innovate, partner, and invest to build community capacity and strengthen economic growth in Appalachia. The average annual salary for employees employed by the agency is $130,087 based on 7 employees. The Chemical Safety Board (CSB) is an independent federal agency charged with investigating industrial chemical accidents. Headquartered in Washington, DC, the agency’s board members are appointed by the President and confirmed by the Senate. It conducts root cause investigations of chemical accidents at fixed industrial facilities. The average annual salary for employees employed by the agency is $122,894 based on 41 employees. Established in 1993, the Corporation for National and Community Service (CNCS) is a federal agency that engages millions of Americans in service through its core programs — Senior Corps, AmeriCorps, and the Social Innovation Fund. Its stated mission is to improve lives, strengthen communities, and foster civic engagement through service and volunteering. The average annual salary for employees employed by the agency is $83,536 based on 657 employees. The Corporation for Public Broadcasting (CPB) is a private, nonprofit corporation created by Congress in the Public Broadcasting Act of 1967. It is the steward of the federal government’s investment in public broadcasting and the largest single source of funding for public radio, television, and related online and mobile services. Its stated mission is to ensure universal access to non-commercial, high-quality content and telecommunications services and does so by distributing more than 70% of its funding to nearly 1,500 locally owned public radio and television stations. The Delta Regional Authority says its mission is to work to improve regional economic opportunity by helping to create jobs, build communities, and improve the lives of the 10 million people who reside in the 252 counties and parishes of the eight-state Delta region. It was created by Congress in 2000 and makes strategic investments of federal appropriations into the physical and human infrastructure of Delta communities. The Denali Commission Act of 1998 established the Denali Commission (Commission) to deliver services of the federal government in the most cost-effective manner by reducing administrative and overhead costs. As part of the act, the Commission’s mission of providing job training and other economic development services in rural communities was established with a specific focus on promoting rural development, and providing power generation, transition facilities, modern communication systems, water and sewer systems and other infrastructure needs in rural Alaska. The average annual salary for employees employed by the agency is $116,213 based on 25 employees. The Institute of Museum and Library Services (IMLS) says its mission is to inspire libraries and museums to advance innovation, lifelong learning, and cultural and civic engagement. IMLS is funded through the annual federal appropriations process and has a budget of $231 million in FY 2017. The average annual salary for employees employed by the agency is $84,723 based on 82 employees. The Inter-American Foundation (IAF) was created by Congress in 1969 to channel development assistance directly to the organized poor in Latin America and the Caribbean. Among its stated objectives are to strengthen the bonds of friendship and understanding among the peoples of this hemisphere and support self-help efforts designed to enlarge the opportunities for individual development. The average annual salary for employees employed by the agency is $99,174 based on 43 employees. The U.S. Trade and Development Agency (USTDA) is designed to help companies create U.S. jobs through the export of U.S. goods and services for priority development projects in emerging economies. USTDA links U.S. businesses to export opportunities by funding project preparation and partnership building activities that develop sustainable infrastructure and foster economic growth in partner countries. The average annual salary for employees employed by the agency is $109,226 based on 57 employees. The Legal Services Corporation (LSC) describes itself as the single largest funder of civil legal aid for low-income Americans in the nation. It was established in 1974 and operates as an independent 501(c)(3) nonprofit corporation that promotes equal access to justice and provides grants for high-quality civil legal assistance to low-income Americans. The National Endowment for the Arts (NEA) was established by Congress in 1965. Its stated mission is to give Americans the opportunity to participate in the arts, exercise their imaginations, and develop their creative capacities. The average annual salary for employees employed by the agency is $97,680 based on 173 employees. The National Endowment for the Humanities (NEH) was created in 1965 and conveys the lessons of history to all Americans. NEH grants typically go to cultural institutions, such as museums, archives, libraries, colleges, universities, public television, and radio stations, and to individual scholars. The average annual salary for employees employed by the agency is $94,550 based on 179 employees. The Neighborhood Reinvestment Corporation seeks to promote reinvestment in urban, suburban and rural communities by local financial institutions working cooperatively with residents and local government. The Northern Border Regional Commission is a Federal-State partnership for economic and community development in northern Maine, New Hampshire, Vermont, and New York. Its stated mission is to catalyze regional, collaborative, and transformative community economic development approaches that alleviate economic distress and position the region for economic growth. The average annual salary for employees employed by the agency is $61,505 based on 3 employees. The Overseas Private Investment Corporation (OPIC) was established in 1971 and helps American businesses invest in emerging markets. It provides businesses with tools to manage the risks associated with foreign direct investment, fosters economic development in emerging market countries, and advances U.S. foreign policy and national security priorities. The average annual salary for employees employed by the agency is $120,429 based on 278 employees. The United States Institute of Peace (USIP) was established in 1984 to provide training, analysis, and other resources to people, organizations, and governments working to build peace. The United States Interagency Council on Homelessness (USICH) was established in 1987 and charged with coordinating the federal response to homelessness and creating a national partnership at every level of government and with the private sector to reduce and end homelessness in the nation while maximizing the effectiveness of the federal government in contributing to the end of homelessness. The average annual salary for employees employed by the agency is $102,404 based on 19 employees. The Wilson Center seeks to be the leading institution for in-depth research and dialogue to inform actionable ideas on global issues. It was chartered by Congress as the official memorial to President Woodrow Wilson. The average annual salary for employees employed by the agency is $99,989 based on 44 employees.